Just as we got Christmas out of the way, Valentines Day is fast approaching so I thought I would help you out, with my Valentines Day gift guide for that special person in your life no matter what your budget. 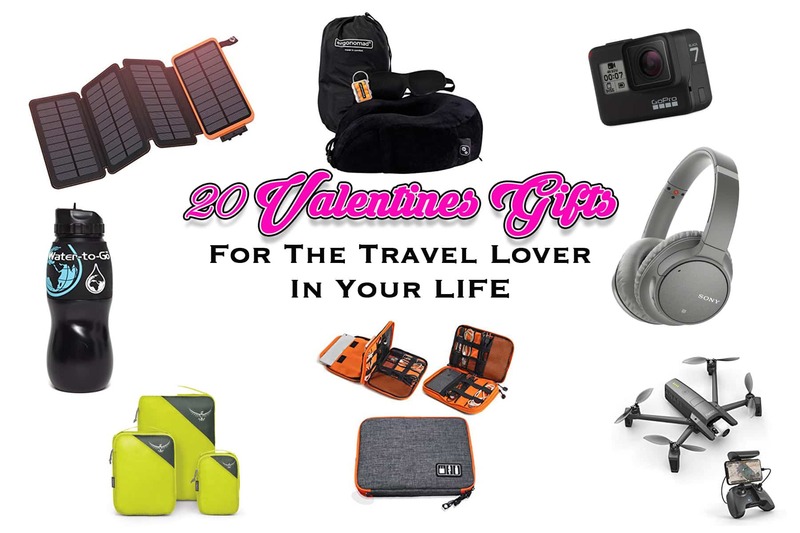 So, whether you and your love are going backpacking, away on a weeks all-inclusive, somewhere sunny or even on a romantic city break for the weekend, I’m sure you’ll find something special in my selection below. The big thing, that everyone was talking about in 2018 and even into this year is how bad single-use plastic is and how much damage it has already caused to our oceans and our sea life. So, should you decide to get your loved one, one of the Water to Go Bottle’s you’ll not only be giving them a way to drink safe water from anywhere (except salt water), you will also be saving the planet. Water To Go has two bottle brands the first is the Go-Bottle and the second is the 75cl Bottle, I personally use both bottles for different reasons and I 100% believe in both the products which is why I partnered up with the Water To Go Company to give all my readers a 15% discount using code OERT15 on the Water To Go Website. 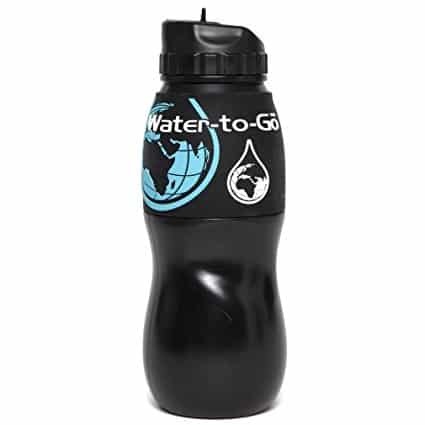 The Go Bottle is great for sports activities, like going to the gym, running and cycling or even to take the office just to name a few, they are lightweight even when full of water. The filter lasts two months (or up to 130 litres) and includes a unique timer to let you know when to change the filter. The Go Bottle comes with a filter to get you started and you can buy more filters as of when you need them. You can purchase a Go Bottle by clicking the button below and don’t forget to use the 15% discount code OERT15. My personal favourite of the Water-To-Go Bottles is the 75CL Bottle, it carries a lot more water than the Go Bottle and the filters last a lot longer, this bottle comes everywhere with me from work to travelling abroad. although it looks big it also lightweight and fits nicely into the side of my backpack. 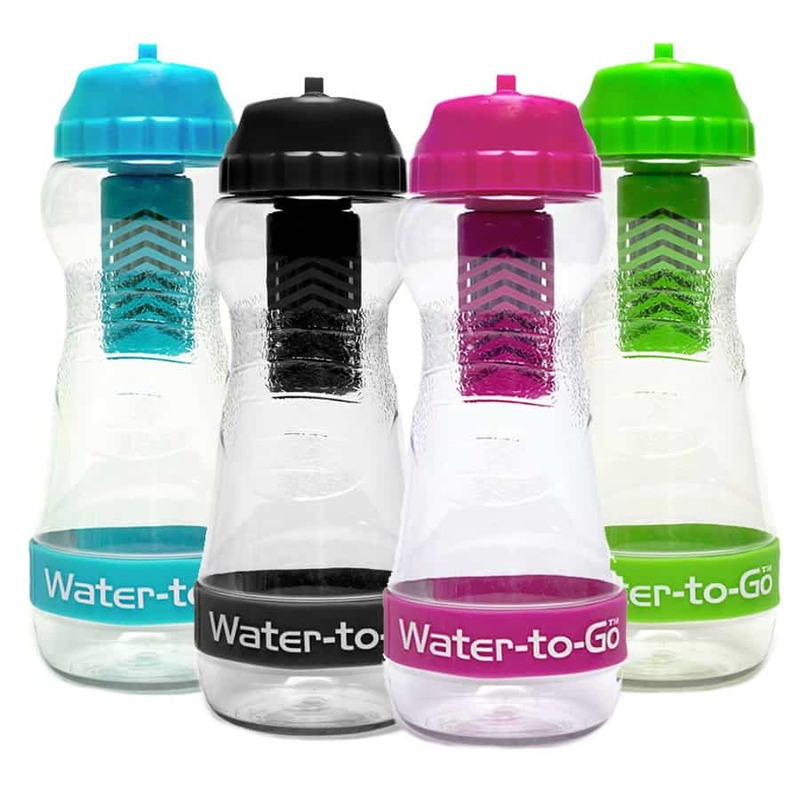 This bottle like the go bottle filters 99.9% of Bacteria, Viruses, Chlorine, Fluoride and Heavy Metals such as Lead leaving you with safe, healthy water (except Saltwater). You can purchase a 75CL Bottle by clicking the button below and don’t forget to use the 15% discount code OERT15. I am one of those people that if it’s moving and I am on it for more than an hour I’ll more than likely fall asleep. 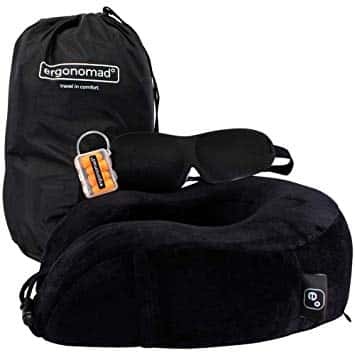 The Ergonomad Travel Pillow and complete Airplane Comfort Kit was actually brought for me as a gift and I love it, I use it on all my travels. The pillow itself is made of memory foam and it all fits into a little bag that fits nicely into cabin luggage or a backpack. 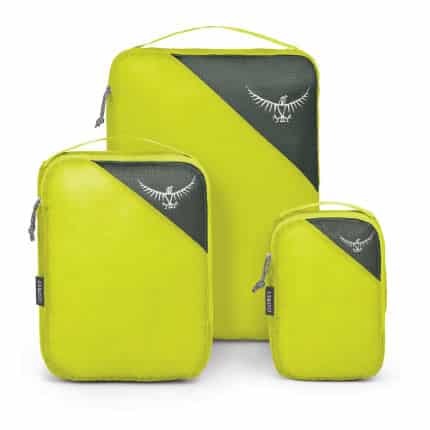 So why not make your Love’s Valentine’s day with this complete travel set that will make him or her feel like they are travelling first class. 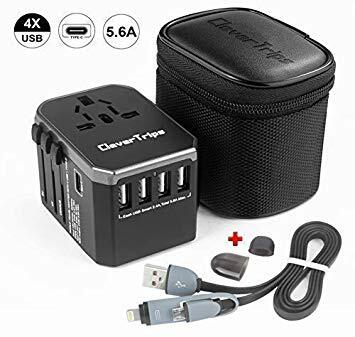 This is a great Travel Adapter because rather than buy a load of different travel adapters for different countries this one works in over 180 countries, it’s suitable for laptops, tablets, cameras and has USB Ports. It also comes with its own carry case. I have recently started using packing cubes in my travels they are not only great for organising your suitcase but they are also great for separating your dirty washing from your clean clothes. As a travel blogger and vlogger, I tend to carry lots of wires, memory cards, portable chargers and much more with me, which can be a pain if they are not all in one place especially when it comes to airports or even just needing to quickly grab what I need. That’s why I recommend the Rexso Travel gadget bag. 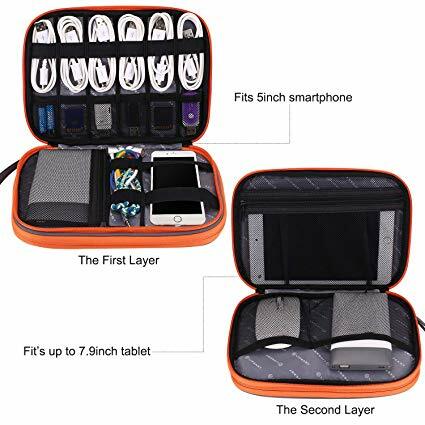 The Rexso Travel bag as you can see from the photo has two layers one to put your cables, memory cards and memory sticks in and the second layer to put your tablet, mobiles phone or hard drive in. Cost: £17.99 You can purchase this from Amazon by clicking the button below. As I mentioned above I’m a travel blogger and vlogger which means that just one memory card won’t do and because memory cards are so delicate I need somewhere that I can store my memory cards safely away which out having to rummage through my bag to find them. 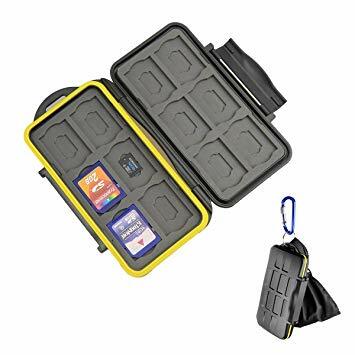 The Beeway Memory Card Storage Holder holds memory cards of all sizes and with the case itself is solid. It’s no secret that most women love a designer bag that is both stylish and versatile, why not surprise your love with the Travel Hack Pro Cabin Case. This case, in my opinion, is the perfect Valentines Day gift for your bae. 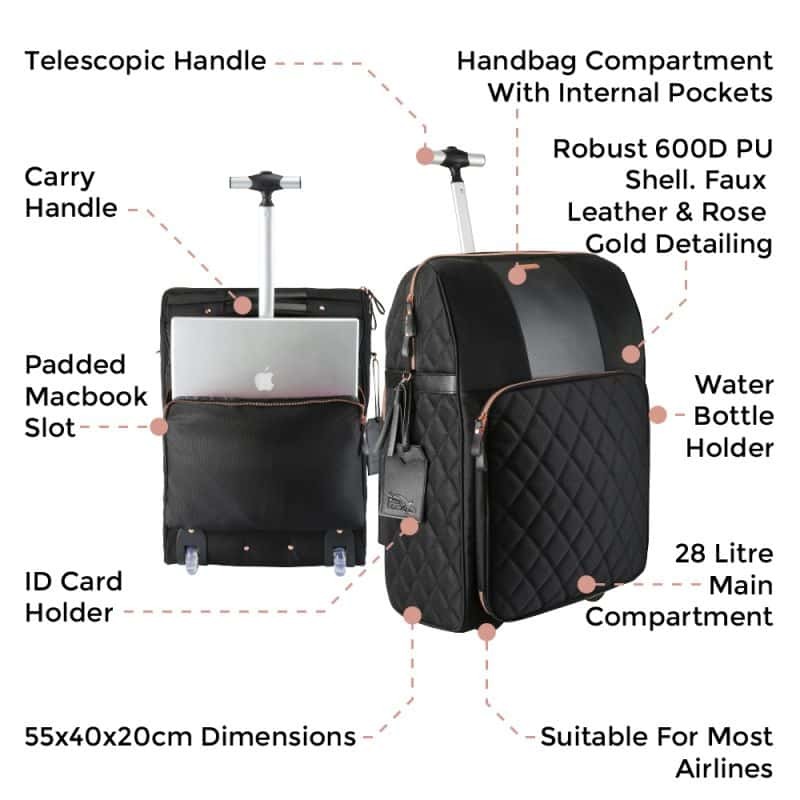 Designed by one of the top UK travel bloggers Monica Stott of The Travel Hack, this bag has been designed to make travelling with cabin luggage easier. This bag is designed to last. I am never without my headphones, if I’m not using them when I’m DJing, then I use them for editing videos or just to chill out and listen to my music. 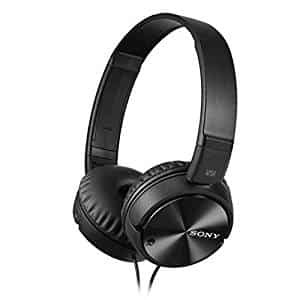 Using noise cancelling headphones allows me to focus on what I’m doing and not on everything else around me. 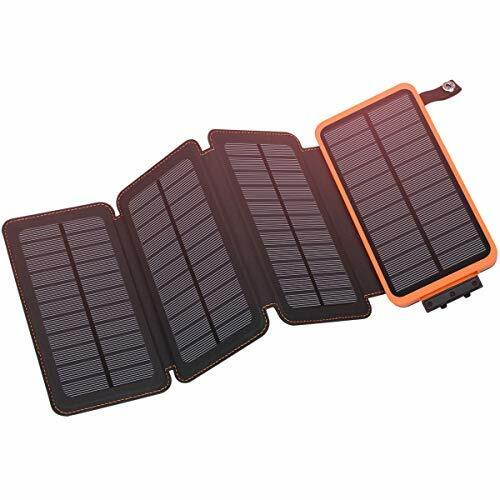 What I love about the Oxsaytee Solar Charger is that this charger can be recharged by a plug on the wall or by using the power of the sun. This is a great charger for campers, hikers and day-trippers it is capable of charging two devices up at the same time, it has a waterproof cover and it also has a torch attached to it, which has three different settings to it which includes a normal torch, SOS Signal and warning flash. As we rely more and more on our phones for so many different reasons, it’s important to have a fully charged phone and the Oxsaytee won’t let you down which makes it the perfect valentines day gift. I have recently just purchased myself a Go Pro Hero 7 which is my first ever Go Pro and although I have had the chance to use past Go Pro’s in the past, I have to say the Go Pro Hero 7 is heads and tails above any other action cameras and a must have for any budding travel blogger or just for those who like more of an all-action holiday. 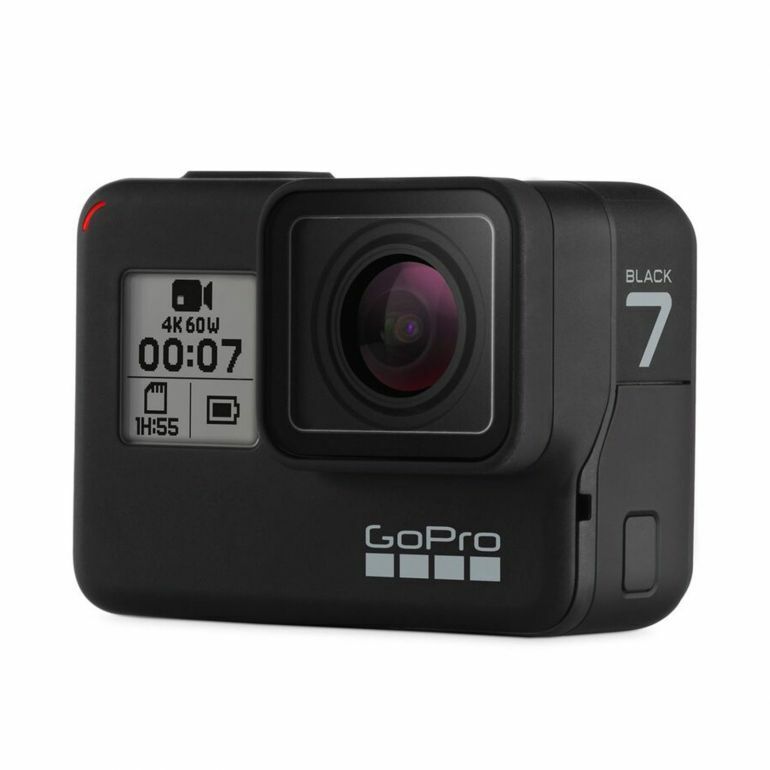 Go Pro Hero 7 can be operated manually or voice-activated, the microphone is pretty good on it although you do have the option to purchase a microphone, it’s not really needed. One of the best functions is the stabilising feature which is something that no other action camera currently has which is great if you’re filming on the move or have a shaky hand. Other specs include the time lapse features, the 4k video mode, photos in 12mp, it’s waterproof up to 30ft and you can purchase underwater housing to deeper and lastly the Go Pro’s are pretty much indestructible. 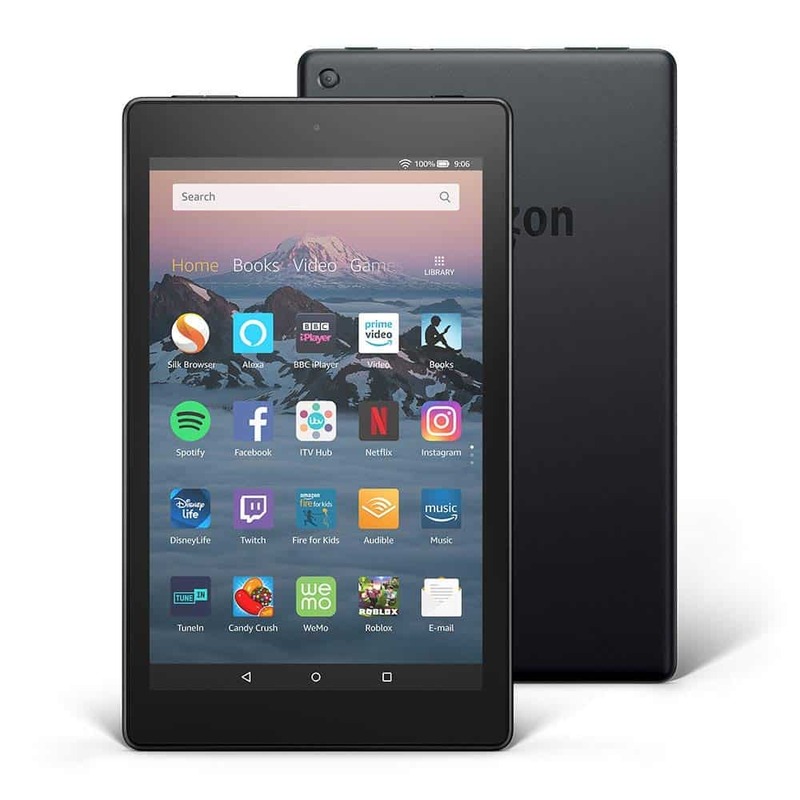 If you or your partner loves reading but travelling for a while it’s just not convenient to carry a load of books with you, so the Kindle Fire is great a great travel companion and valentines day gift. It enables you to load up on books, games, Netflix and Amazon Shows. 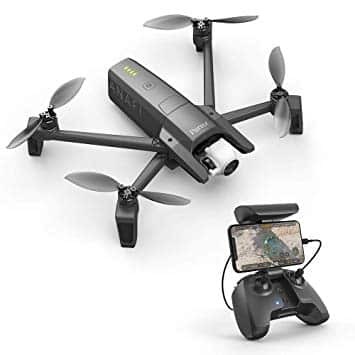 It’s not massively big and it’s great for passing the time whilst by the pool, waiting at the airport or whilst flying etc..
For those of you that can’t justify the cost of the DJI Drones like myself, the Anafi Parrot Drone is the next best option on the market. What I love about this drone is that it is small and compact it doesn’t take up much room in your bag, it has the capability to not only shoot 4k but also in HDR and just as impressive is the camera does 180 tilt capturing more of its surroundings. This is one of the best purchases I have made for 2019 and honestly can’t wait to start using it for my travel vlogs. To be honest, any DJI product is the bee’s knees, they are made for those who are serious videographers. 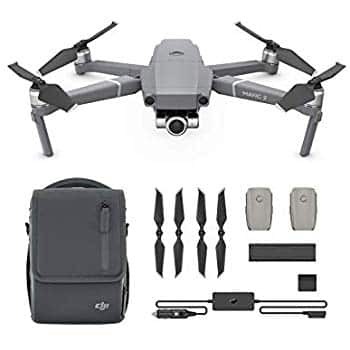 The DJI Mavic Drone 2 is another foldable drone that is small and compact, it has collision avoidance and 4k video, long battery life and 3 axis gimble. Buying The Mavic Pro 2 Combo works out as a lot more cost effective as you can get a carry case, extra batteries and propellers. 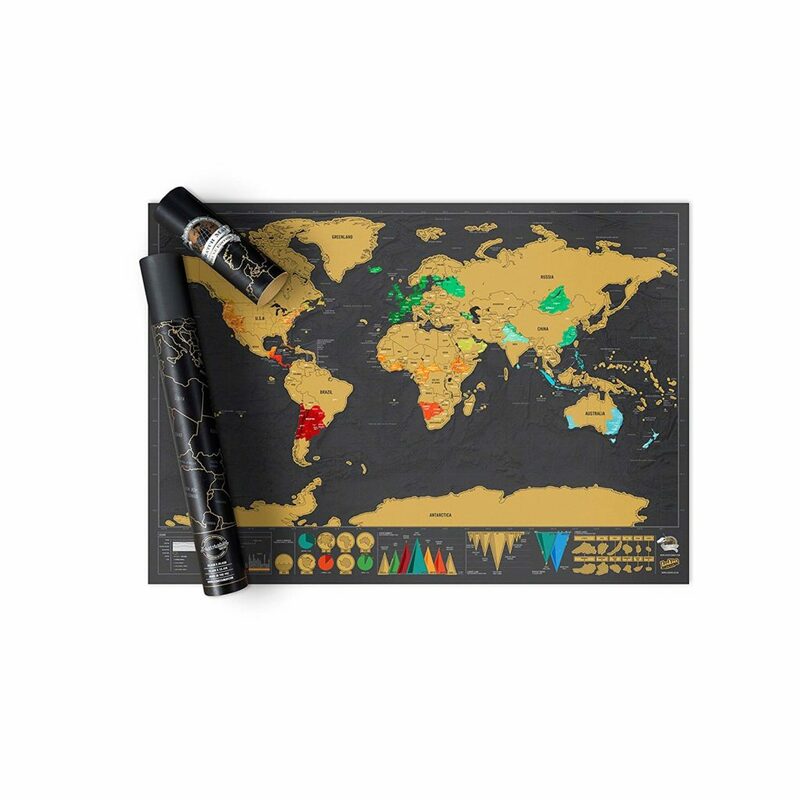 I think that this is a lovely idea for a valentines day gift for any travel lover, you can use it as a romantic way to mark off all your travels together whilst making memories or your valentine can just simply scratch off all the destinations they have been with and without you. 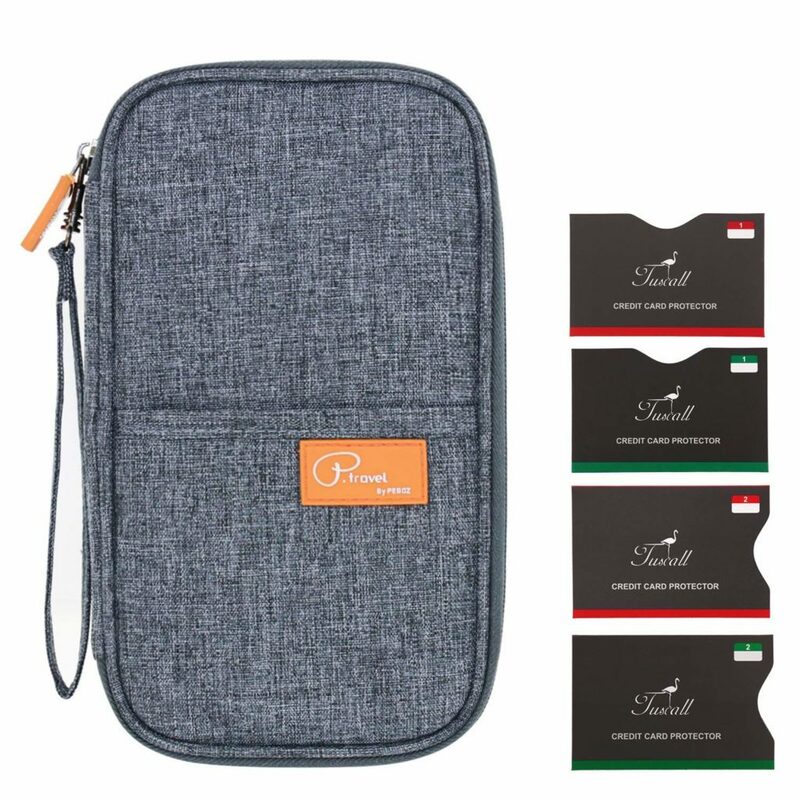 I really like the Tuscall Travel Wallet because they are great for roaming the airport because you can literally put your passport, boarding pass, cash, a pen, credit cards and phone. They come in different design and are designed for men and women. This is a great backpack for those that are into watersports like Kayaking, canoeing, water skiing just to name a few, having a bag like this that is made to go in the water is great to transport your camera, wallet, phone and anything else you carry on your travels that really shouldn’t go in the water. 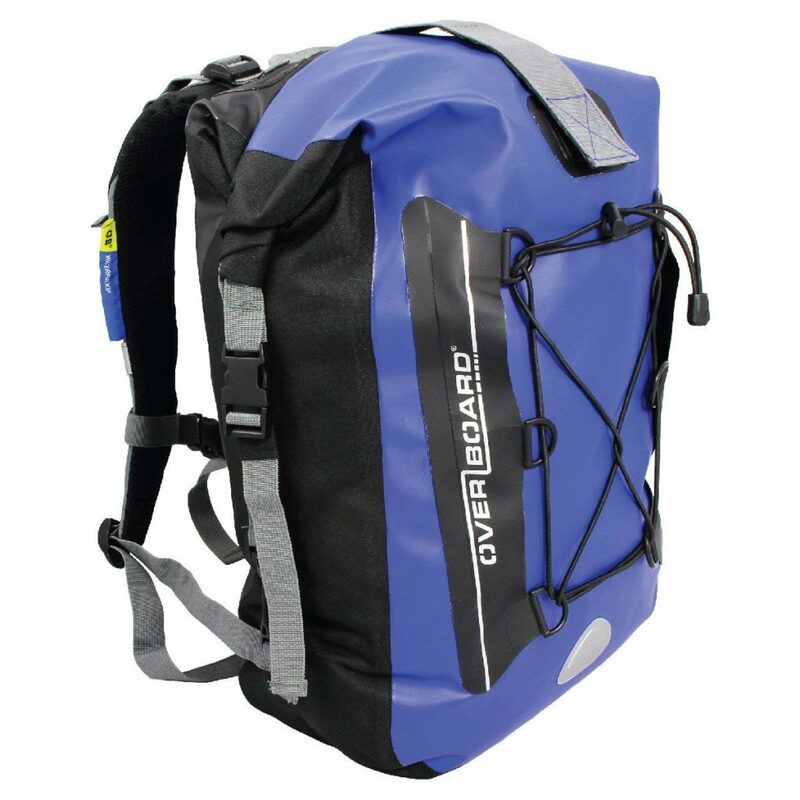 The Overboard Backpack comes as a 20lt and a 30lt and various different colours. 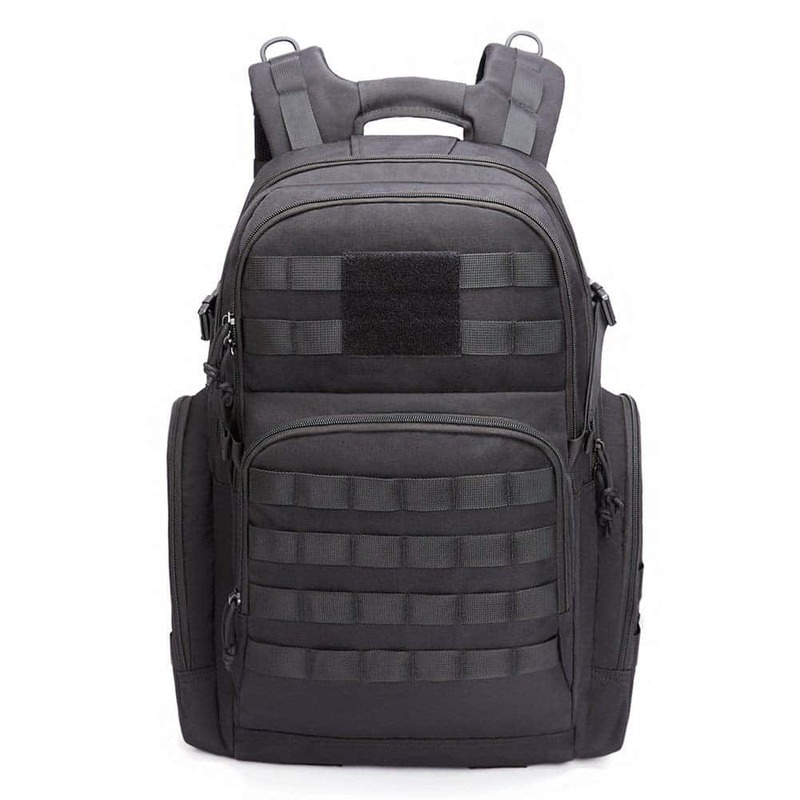 This is a great valentines day present backpack for hikers and just for travelling although it’s classed as a military Tactical backpack, it can pass for a normal backpack. 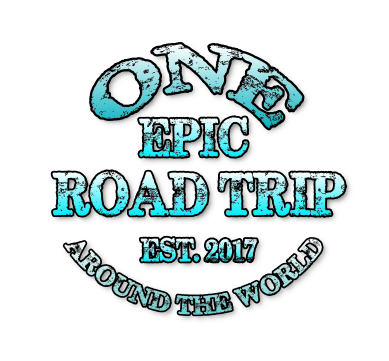 I have one of these and found it great, I used it recently for a 48-hour trip and it fit all my clothes for that trip, my laptop and 2x water-to-go bottles and more. It’s comfortable to wear with padded shoulder straps, padded mesh on the back for airflow as well as the ability to add extra pouches. Microfibre towels are a great invention not only do they dry 3x’s faster than a normal cotton towel, but they are great for going to the beach with as sand doesn’t stick to it. 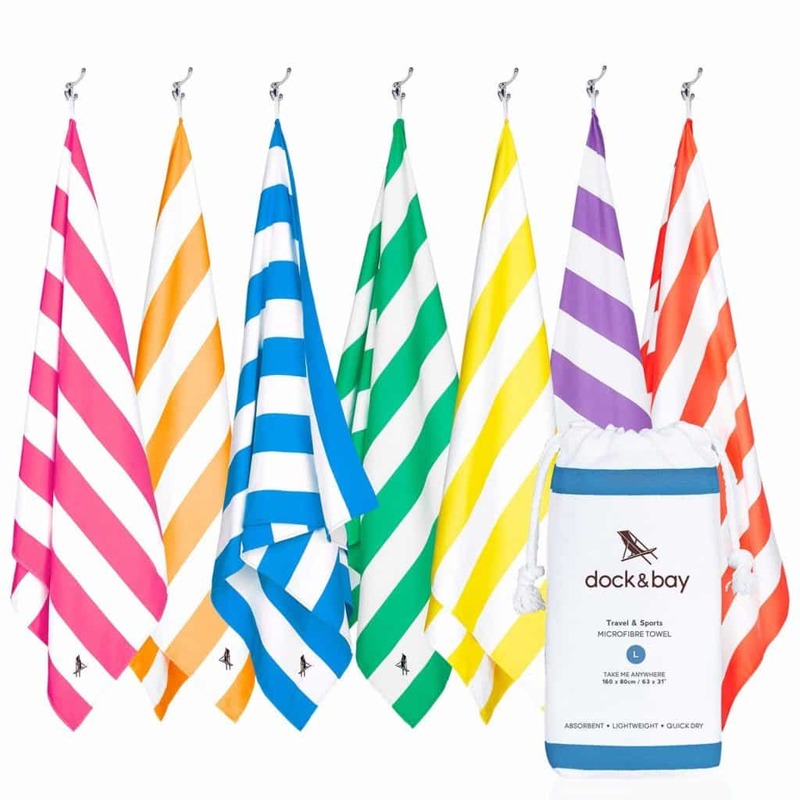 The Dock & Bay microfibre towel is not only colourful but also big enough to wrap around your body or to use for laying on a fun lounger, should you decide to book a valentines day beach holiday for you and your special someone. 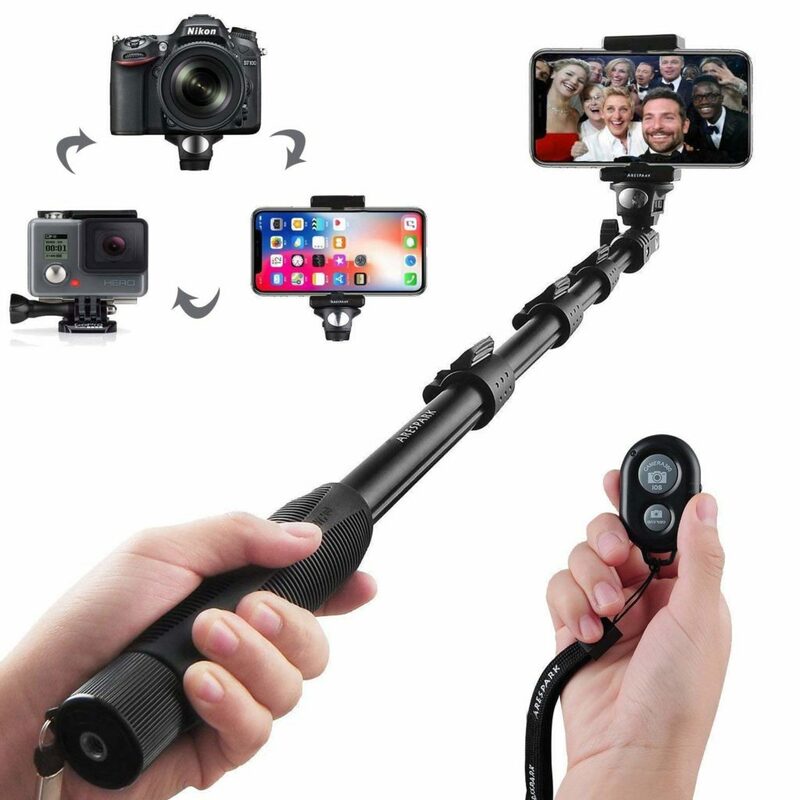 I have had this monopod since early 2017 and honestly, think it’s the bee’s knees I have used it with a DSLR, GO PRO, Samsung S9+, Video Camera, Sony HX80 and more recently an iPhone X Max, it’s strong and durable. extends to 50 inches and comes with a Blue tooth control, it tilts 180 degrees and you can attach a stand at the end of it. Although it is bigger then most selfie stick I can honestly say it also lasts a lot longer. This is the perfect Valentines Day gift for you and your Valentine to capture those special moments or even just those instagrammable moments. Disclaimer: Please note that this post does contain affiliate links but does not cost you any extra money. But if you make a purchase any of the items mentioned in this post using one of my affiliate links I will receive a small commission from the sale which helps to keep my site going and free for you to read, but all products mentioned in this post are all products that I personally use and would 100% recommend. It is also important to note that the prices on this post are correct at the time this post is published, but the prices can rise or drop and this something that I do not have control over.